Over the years and facial expressions, lines appear that later turn into wrinkles. Botox is the suitable procedure to correct this. Botulinum toxin, also known as Botox is designed to relax muscles in charge of expression lines and wrinkles. Before going for it, it is important to make sure to ask for the physician in charge to be a certified doctor (Dr. Lina Triana is Allergan certified), and for the product to be a known brand like “Botox”, since there are many brands out in the market, and not all of them are top quality. Along relaxing facial muscles to minimize dynamic wrinkles, Botox is ideal to deal with excess armpit and hand palm sweeting, as it reduces sweat secretion. Treating bruxism (involuntary teeth grinding that contracts jaw muscles and causes headaches) is yet another benefit of Botox. ¿Am I a candidate for Botox? Anyone seeking to reduce expression lines, wrinkles and/or excess sweat in hand palms and armpits are good Botox candidates. 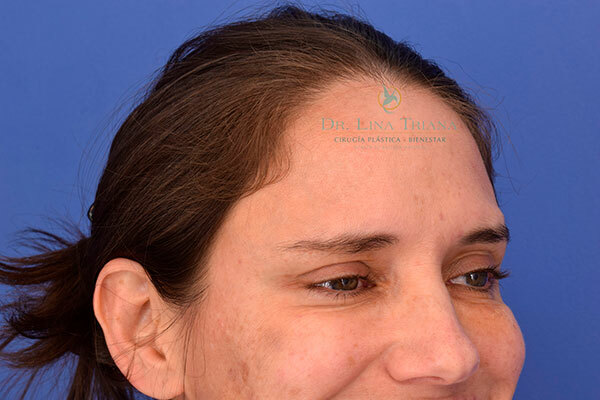 Botox is a non-surgical procedure easily and quickly carried out at a medical practice. Although anesthesia is not required, ice application on the area is recommended before injecting the product. Patients may use topical anesthesia (“Anestecin” –in Colombia-) at home every 15 minutes for one hour, right before the procedure. 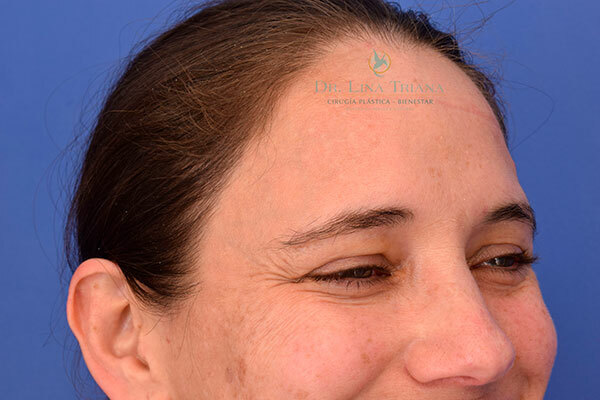 Areas for Botox application are defined during earlier appointment with Dr. Triana. We recommend not to lie down for the first 4 hours after the procedure and refrain from any physical activity all day long.